This is the first part of a two-part series on creating the perfect lead magnet. When it comes to list building we often hear the term “lead magnet”. But people have questions about lead magnets that need to be answered. What makes a great lead magnet work well? Good questions all, so let’s tackle each one and get an answer. A lead magnet is a gift you give people in exchange for joining your list. Simple really. You want people to join your mailing list to you offer them an incentive to subscribe. No matter what you call it, it is something of value you offer people who visit your site to get them to join your mailing list. The “something of value” can vary widely depending on your niche, your own preferences and just how much value you believe is right to give for a person to join your list. Here are a few common lead magnets. As you can see, the list of what can be used for a great lead magnet varies widely. Choosing carefully matters because this is your first impression, and you know what they say about those! Do I really need to use a lead magnet? Yes. Absolutely. The day of people joining our lists without some incentive are pretty much over. Back in 2002 and 2009, we could just say “please join my list” or “get updates” and that would get the job done. Unless you are a celebrity in your field, getting people to join your list “cold” (without incentive) just does not work. So yes, use a lead magnet. But by all means, choose a lead magnet that is appropriate to your situation. You don’t want to give away the farm but you do want to deliver the most value possible that does not take away from the main selling proposition of your product. It can be a tricky balance to find but you will find it. What makes a great lead magnet work? I believe there are six things that make a great lead magnet great and will make it work so well. The more of these attributes your lead magnet has the better you will do. By “sticky” I mean this – you want something that your new subscriber will look at and keep looking at. This is why a resource guide works so well. People love resources and often believe the right tool will change things for them. So a list of tools that one needs to succeed with a specific task makes a great lead magnet. It will be referred to again and again, which is what you want. PDFs work very well here because people almost never purge PDFs from their computer. I’m willing to guess that you have PDFs on your computer dating back years. If you name your PDF something catchy but honest you will do well. People often scan their hard drives for files and seeing a “Secrets to Free Traffic” PDF will cause them to look, where a “Spring 07 Report” will not. Your subscribers have problems and want solutions. If they did not, they would not subscribe. Help them solve those problems and you will gain a customer and a friend. The people on your list will have two categories of problems. Since you can’t know the second (without being a mind reader) focus on the first. Make a list of problems people in your niche face. Then create a lead magnet that starts your subscriber on the journey to solving that problem. Remember to give them baby steps so they don’t feel overwhelmed. If you don’t know where to start, do this – make a list of the problems you faced when you first came online and tried to accomplish what you are trying to help your subscriber accomplish. You will often find that your subscribers have the same fears and face the same challenges you faced along the way. If your lead magnet can help your subscriber take an action that partially solves their problem you will have found a winner. Great lead magnets provide “results in advance” by letting the reader take an action today (and have some success today) without providing the complete solution. If you provide the complete solution in your lead magnet you will not make sales. Remember this, when you walk into a big box store (like Sam’s or Costco), or your local market, and they offer you a taste of the food they have for sale they are offering you a taste, not a meal. Follow the same formula in your lead magnet and you will do well. Let’s leave it there for part 1. In Part 2 we will complete the list of what a great lead magnet needs to be to work for you. A great lead magnet is more important than most people realize. Take the time to think about what you can offer and offer the very best value you can that does not rob you of sales down the road. If you do you will build your list faster and stronger, and make more sales too. Build Your Email Follow Up System TODAY! Great substance, Charlie! My main concern now is contacting people to use the lead magnets on without having my email dubbed as SPAM. In other words, how do I begin to form a list? Growing the list is easier for me than getting it started. To grow the list you need a landing page where they can sign up. The landing page will offer the lead magnet to them in exchange for their email address. Once they do that, they are your subscribers and you can email them, help them, answer questions, make offers and more. Then you need traffic to the squeeze page. The best sources of traffic for any squeeze page are people who have proven they will subscribe to a list in order to get something free or low cost. This is one reason solo ads and ezine advertising work so well. If you target your ideal prospect using a method by which you feel sure they have subscribed to something already (Facebook, Twitter, ezine advertising, etc.) you should have better results and begin to build your own list. Years ago when i first started, i often asked how can i get more leads. Today,i find it to be easy. But here lies another problem. How to get quality leads? I’m glad charlie came up with this post for everyone. What can differentiate you from others are your contents and solutions that can help solve your audences current problems. A good product is as good as you can describe it. It will not do much good if no solution is mention about how this product of yours can do to solve problems. This is one post that everyone must read. Thank you, Kenny. The quality of leads is important. I find that quality of leads has to do with content and matching the right advertising source to your offer. There are no “bad” leads but there are marketing mismatches. Also important is how you communicate after they are on your list. I have found over the years that a great follow up system helps people see you for who you really are and communicate how you can help. That helps turn a “bad” quality lead into a great customer. Thank you for getting in touch. Sorry for the trouble. According to my records, you opted out of my email system on 10/12/15. We always follow best practices so I can’t send you any email if you are opted out. I would be happy to have you receive member updates and be on my list again. To do that I will need to have you verify your intention to opt in again. I can’t do that unilaterally so I did sent you the “Please verify your subscription” email so you can take that action. On the help desk, we have a message about the change at http://charliepagesupport.com which is the address we have always used for support. Great article Charlie, I always enjoy your posts. Thank you. Could you please provide your thoughts on using a follow up email series for a lead magnet, that goes for 5-7 days etc, and then flows into the sales funnel. I actually have an entire course about this called Follow Up Selling Systems. You can learn more about that here. There is MUCH more to it than this of course, but that is a decent outline of the process. You have to know what you are doing along the way or progressing to the next step is not advised. To do this right is not a one or two day process, but it is incredibly profitable and creates loads of free time too. Thank you, that explaination really helped break it down a lot. For my lead magnet, I’m thinking of creating a basic step by step guide/ebook to setting up a sales funnel for newbies, or maybe a step by step guide to setting up a wordpress blog and hosting it. Or is it best to break that ebook up into chapters and send a chapter or 2 a day through an auto responder, for 5-7 days to try to prevent the newbie from suffering from information overload? And then, after either option, I would then follow up with helpful tips or articles through the auto responder and of course the product(s) to sell to solve there problem eg how to generate leads through facebook or blogging etc. It does. I would not do an ebook as your lead magnet. If you are giving this course away, I would post the chapters to my blog and then make your follow up system be a series of introductory messages to the lessons on the blog. This way you get the SEO benefit, do not have to send attachments or create many download pages and everybody wins. You can always test this but giving away and entire ebook as the lead magnet is not recommended. You want something easier to consume than a book and something that gives them an immediate overview and the ability to take action. An ebook does not do that. I am yash From india. make leadmagnet of that offer? You would likely need to purchase a product with resale rights and use that, or hire someone (who does have the knowledge) to create the lead magnet for you. so sir where i can find these guys? Thank you Charlie, this really helps and makes sense. This has given me a new direction, something I did not think of. Thank you for your opinion and taking the time to answer my questions ? Great article, as usual! In your post, you refer to a follow-up article on this. Did that ever get done? If so, can you give me the URL please? You bet! Click here to read it. I just ordered my first course from you. Thanks Dan! Welcome to my world. I look forward to being of service to you. I like your tip about only giving them a taste. Don’t give away the whole store before you make a sale. Thanks Charlie for another clearly worded article that makes it so easy for anyone to understand the subject, with exactly the kind of information people are looking for. It is so refreshing to come across Common Sense advice and guidance on the internet. Hi Charlie. thanks for the short but very helpful blog post. It has answered a very important question. 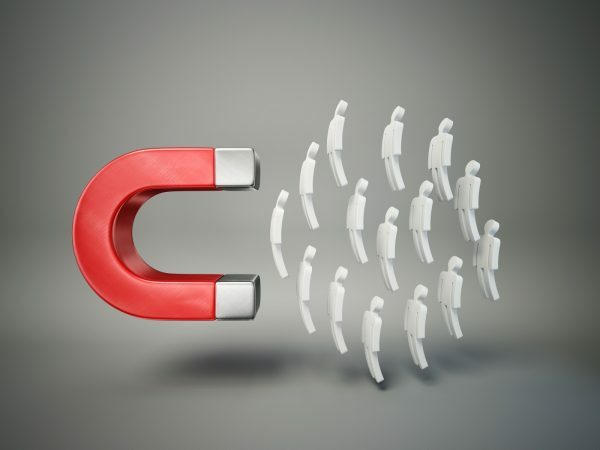 Most people already know what a “Lead Magnet” is but you put it in a way that even a newbie can understand, with a great list to follow as well. You make it so easy the way you explain things.